Showing 1 - 1 of 1 Products for Manual Transmission Shifter Lever Kit. Installation Kit for Hurst Competition plus shifter. 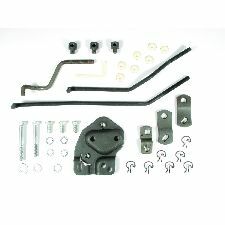 Includes all linkage pieces needed to complete the installation of your Hurst Shifter.